The all-new 2019 INFINITI QX50 is our most advanced INFINITI yet. We’ve put it head-to-head against the Acura RDX. Let us tell you why we think you’ll have a better experience driving our 2019 INFINITI QX50. During your car search, you narrowed it down to these cars, why was that? Because you want luxury. INFINITI is the premium for luxury cars. The 2019 QX50 is the most luxurious model we have built to date. The all-new QX50 cabin treatment delivers careful efficiency with indulging textiles to bring an exceptionally calming interior space for you. Built with a unique driver-focused geometry, the cabin’s harmony of supple leathers, wood accents and tailored stitching makes the QX50, the perfect balance of artistic craft and driver capability. While the Acura RDX has more “Standard Luxury for Your Money”, the INFINITI QX50 gives you more Premium Luxury for what you pay. We know that you came to these two cars for luxury, and we guarantee it at its highest quality. 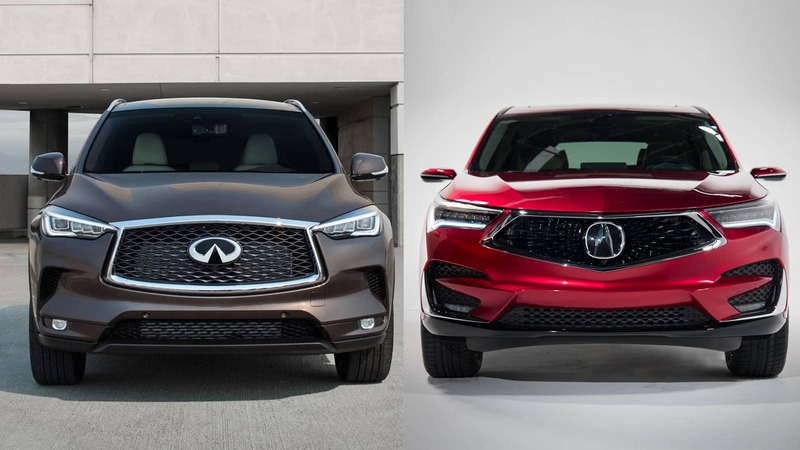 Sure, the Acura RDX is high in performance, you might get a kick at its V6 engine, but at INFINITI, it is our duty to open up new ways to deliver top-notch performance. We do so by bringing breakthrough technology as a result of 20 years of engineering and innovation at INFINITI. Like two engines in one, the 2019 QX50’s 2.0L world’s first production ready VC-Turbo Engine automatically transforms at key moments during your drive to provide optimal performance and efficiency. The VC-Turbo instantly adapts to your commands. How about if you want to maximize fuel economy? The engine adapts again, giving hybrids a run for their money. This engine puts you in control of the driving experience. o The available Blind Spot Warning and Blind Spot Intervention® systems help alert you to vehicles in the blind spot area when driving, then actively assist you back toward the center of your travel lane if you begin to move over. o This breakthrough INFINITI technology senses the distances between you, the vehicle in front of you, and the next vehicle in front of them. Along with ProPILOT Assist technologies, it helps provide added reassurance for stressful highway driving and city traffic alike. o Using a sophisticated combination of radar and sonar, this accident prevention and collision avoidance system helps monitor approaching vehicles and large objects behind your vehicle and will automatically engage the brakes if needed. Designed to automatically activate below five miles per hour, it helps provide driver confidence while in reverse. o INFINITI’s innovative Forward Emergency Braking with Pedestrian Detection measures the speed and distance between you and the vehicle in front of you. Along with its ability to help detect pedestrians, this standard system can provide an audible and visual warning to help the driver identify a potential frontal collision. If the brakes are not engaged after the warning, your QX50 can partially or fully apply the brakes to help avoid a collision. So you want a luxury vehicle. It’s between an Acura RDX or an INFINITI QX50. What will you choose? We know you’ll make the right decision and choose us to give you the best car experience you’ll ever receive. 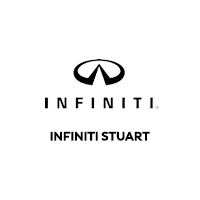 If you would like to see for yourself what the INFINITI QX50 is made of, stop by INFINITI Stuart and take it out for a test drive. You will guaranteed, choose the QX50 over the RDX.